This month we're beating the drum of American design, with a special emphasis on those objects you just figure are bound to be made overseas. A fine example, and a remarkably handsome one at that, is this cloth extension cord from the made-in-the-USA obsessed New Yorkers of Best Made Company. 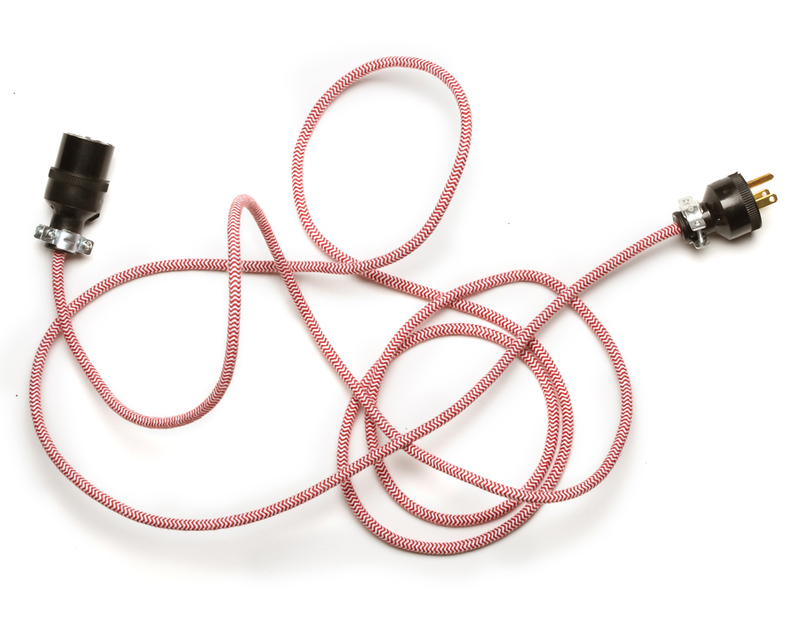 A rather good looking trio of American-made extension cords by Best Made Company. Best Made came to significant attention in the last couple years with their high design axes. And though we dig those, we wager that this extension cord will serve you a bit better around the apartment. At ten feet long and with a maximum voltage of 600, this cord is one you'll be happy to display instead of concealing along the baseboard. The cloth that covers the wires is woven in Massachusetts and then the whole shebang is assembled in New York. Currently Best Made's website says the extension cords are out of stock, but I have it on good authority from a Best Made source that they are ramping up production and should have more to sell the week of September 12. And the haters love to say we don't make anything here in the good ol' US of A.